Viking Series-III SPA and All Viking 2014 Spa made with SOFT-TOUCH, Slip Resistant Luster Series surfaces and are made with High Density Polyethylene (HDPE). 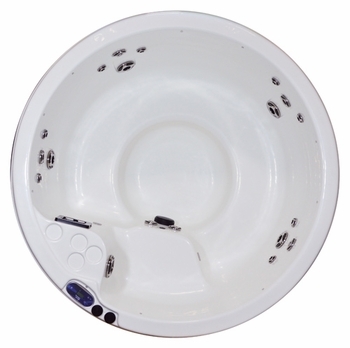 Viking then coats the underspa with heavy poly-urethane two-pound density foam to provide ultimate support to load-bearing areas and provide layers of thick insulation. In other words, a Viking Spa easily has more than the insulation required for a home in the coldest parts of the United States. Our 6 year Parts & Labor Warranty is further evidence of our confidence in our product.